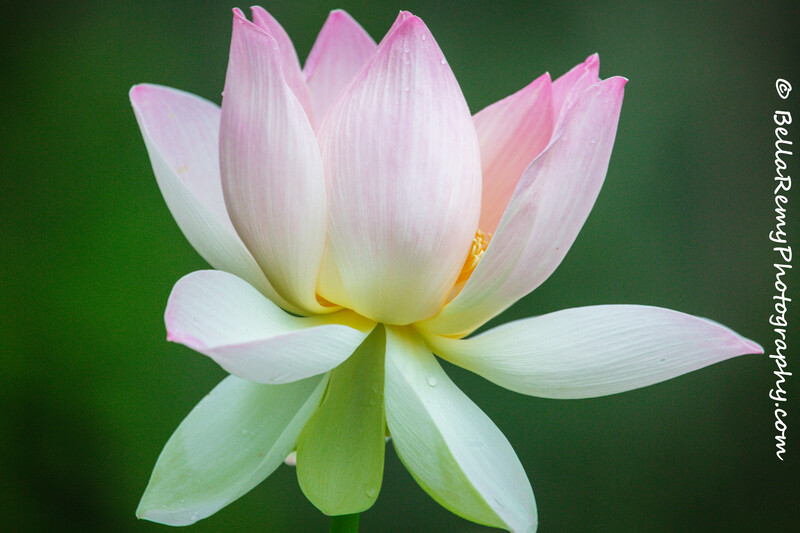 Rising from the muddy waters grows the stunningly beautiful and pristine Lotus flower. While hidden by their large lily pads, these lotus flowers are a symbol of purity and beauty among the Buddhist and Hindu religions. Egyptian scholars witnessed the Lotus flower recede to the murky waters at night, only to be reborn the next morn, bright, fresh, anew. It would only be appropriate that my footsteps would lead me to Kenilworth Park and Aquatic Gardens this morning. 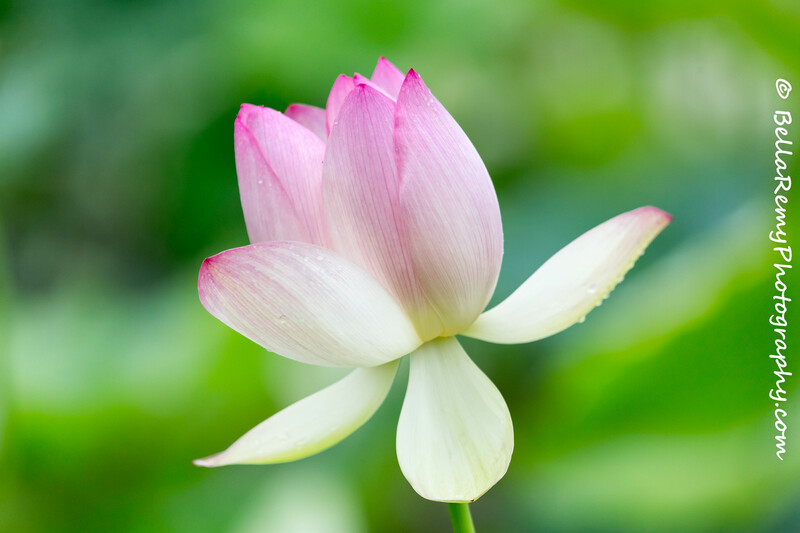 As this week I had a chance to be renewed like the Lotus Flower. 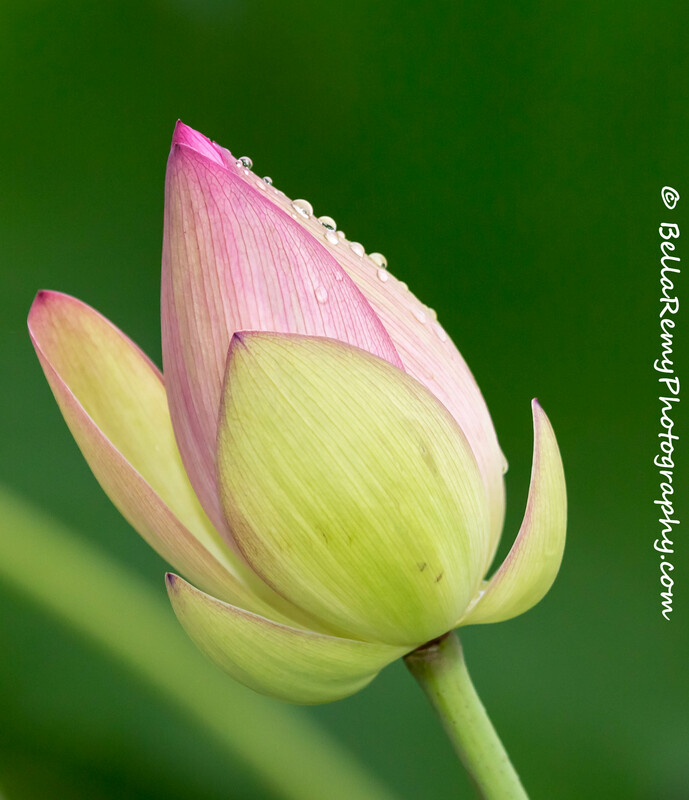 To be reborn like this beautiful flower each morn with purity that leads to enlightenment. It is a gift that I wish each and everyone of you. To have each morning to be a fresh start. A chance to rise above the strife and struggle and stand tall with grace and beauty. If you can, you should certainly go and visit Kenilworth Gardens. They’re having a water lily festival at the end of the month. You’ve really captured the beauty and the purity and the promise of new beginning within the lotus in these excellent shots. I’m especially fond of the closed but with the dew drops. Wonderful work, as always. I was so lucky to have been there that morning after a heavy rain storm. Everything was so fresh and anew. Thank you so very much for your kind words. Beautiful flowers, beautifully photographed, with inspired words to go with them! Nature is truly magical. Wonderful clicks. You are absolutely right Sara. I had to stand there and just marvel at the magical nature of these beautiful blossoms. Thank you for your comment and visit. 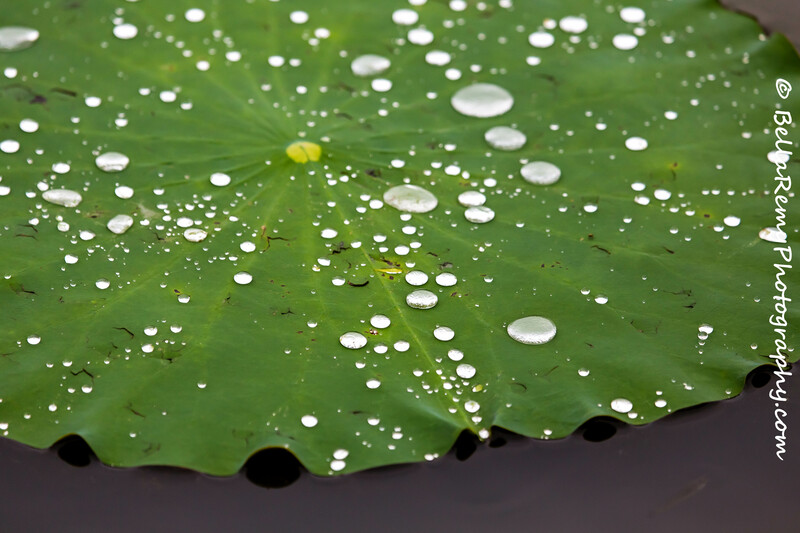 Talking of the lotus leaf, there is beautiful phrase in my language – Tamil. Thamarai Elaine mel neer – this means we shouldl live life like these leaves – raising if water levels rise and falling when water is low. The water on the leaf is very much there but with a little shake, all the water dros and the leaf is dry – no latches to the worldly things! Your comment is such a wonderful compliment to this post, and I can’t thank you enough for sharing this wonderful philosophy. Tamil, hadn’t head of that language before. What country is that from? so lovely…love the soft hues. The detail, the color, and the lighting are all so perfectly done…Great photos. So grateful for you Charlie, and thank you so much for your kind words. Also appreciate the twitter reachout with this post as well. Thank you!!! Thank you Bella. The photo was spectacular! be like a lotus, Bella. So grateful for you Sylvia. Thank you so very much for your kindness and hope all is well with you. Aren’t they marvelous? How I would love to learn how to grow them.